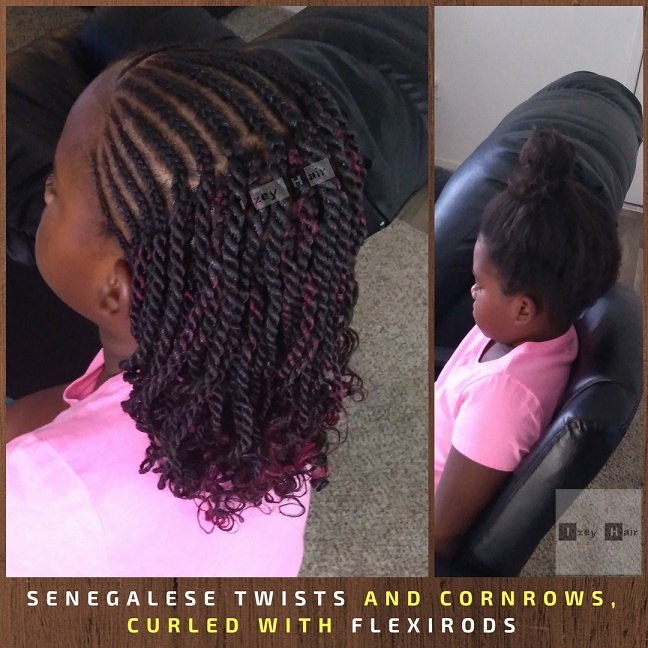 Part Cornrows and Part Senegalese Twist Curled with Flexirods for an adorable and patient little Girl. 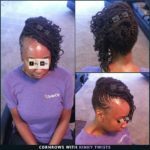 This is not feed-in cornrows, I added a tiny bit of braiding hair extensions at the beginning of the cornrows, and added a little more right before the twists. 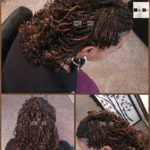 The back, beneath the cornrows, are individual Senegalese twists. 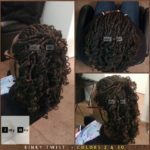 I curled the ends by wrapping them around flexirods and dipping in hot water. 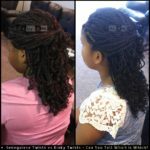 I applied Argan Oil Conditioning Mousse and blow-dried. 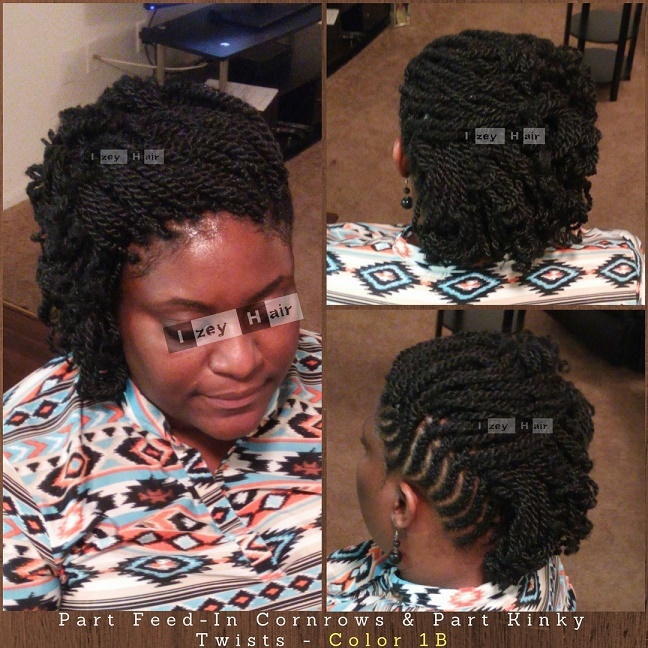 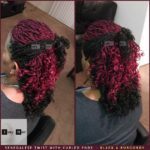 LEARN HOW TO CURL BRAIDS WITH FLEXIRODS HERE. 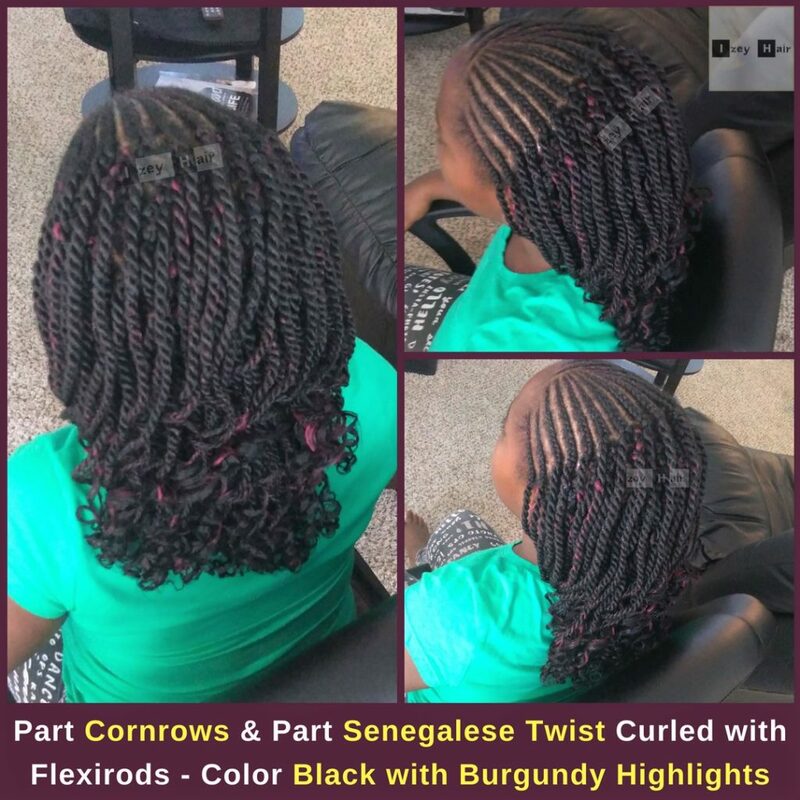 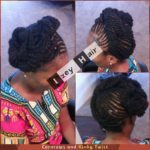 Part Cornrows and Part Senegalese Twist for Kids Photo by Izey Hair in Las Vegas, NV.